Visiting the retails outlets on daily basis as per the beat plan. To collect orders from the retailers in the allocated region. To support the traditional Trade Sales for the company across various categories and markets with increased sales and distributions. To execute daily operations at the distributor level for servicing of outlets and direct dealers. Ensuring orders are placed and executed by the distributors on time. Ensuring availability of the products in a geography by highlighting stock requirements to distributor / Area mangers on time. Monitor competitor activity in the market w.r.t new product, trade schemes etc. report the same to area manager (standard report). Participate in promotional activity of the company. Carry out new Retailer expansion plans as per guidelines. Maintaining excellent relation with retailers, distributors, stockiest etc. 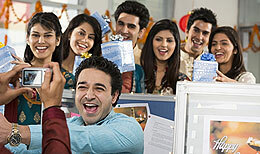 We, at Kokuyo Camlin, are staunch believers in having fun at work.